Compact natural granite cardholder with 2 slots. This holds the same amount as the Double Business Card Holder, but has a smaller footprint. 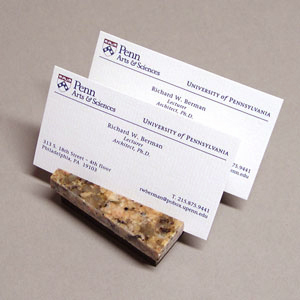 Very useful for holding 2 different sets of business cards.